Deionized Water, Organic Aloe, Matrixyl 3000, Palmitoyl Triepeptide-3, Kosher Vegetable Glycerin, Plant Stem Cells, Cucumber Hydrosol, Organic Jojoba Oil, Botanical Hyaluronic Acid, MSM, Hydroxyethyl Cellulose, Carrageenan Gum, Silk Amino Acid Blend (Sodium L-Pyrrolidone Carboxylate, Sodium Lactate, L'Arginine, L-Aspartic Acid, L-Pyrrolidonecarboxylic Acid, Glycine, L-Alanine, L-Serine, L-Valine, L-Proline, L-threonine, L-Isoleucine, L-Histidine, L-Phenylalanine), Wildcrafted Periwinkle, Organic Licorice, Wildcrafted Eye Bright, Wildcrafted Reishi, Organic Gotu Kola, Frankincense, Tocopheryl Acetate (Vitamin E), Sodium Benzoate, Potassium Sorbate, Ethyl Hexyl Glycerin, Organic Gotu Kola Extract, Organic Horsetail Plant Extract, Organic Geranium Extract, Organic Dandelion Extract. Wash and pat skin dry. If using toner, apply toner first. Dab around eyes, forehead and cheek area. Follow with a moisturizer as needed. Can be used morning and night. REDUCE DARK CIRCLES & PUFFINESS: This lightweight gel formula is packed with powerful ingredients to address all eye area concerns. Cooling cucumber instantly soothes and awakens puffy eyes. 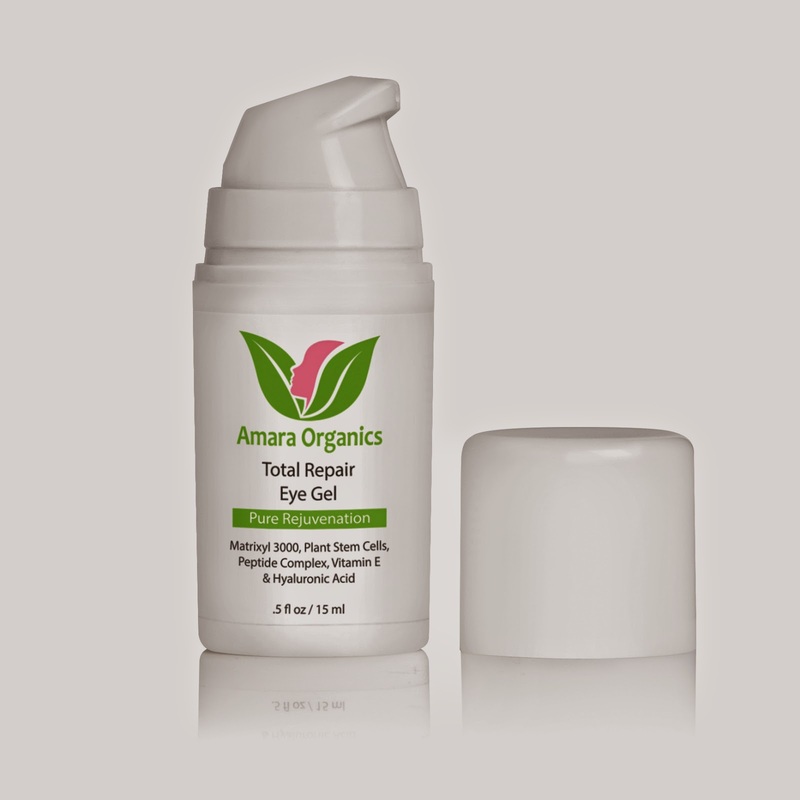 Hyaluronic Acid plumps and hydrates while peptides and plant stem cells rejuvenate skin on a cellular level. Say goodbye to dark circles, puffiness, bags, and crow's feet and reveal refreshed, radiant eyes. NATURAL, VEGAN & CRUELTY-FREE: We use only the best, natural plant-based ingredients available, with no parabens, no alcohol, and no animal testing. Made in the USA. ★ WORKS OR YOUR MONEY BACK ★ Manufacturer's Guarantee: We back our products up with a 365-day hassle-free money back guarantee, no matter where you buy our product. There's absolutely no risk to you when you order now! If you aren't completely satisfied, simply contact us and we'll give you a full refund, no questions asked (you don't even have to return the bottle). Our #1 priority is to make sure our customers are completely happy. 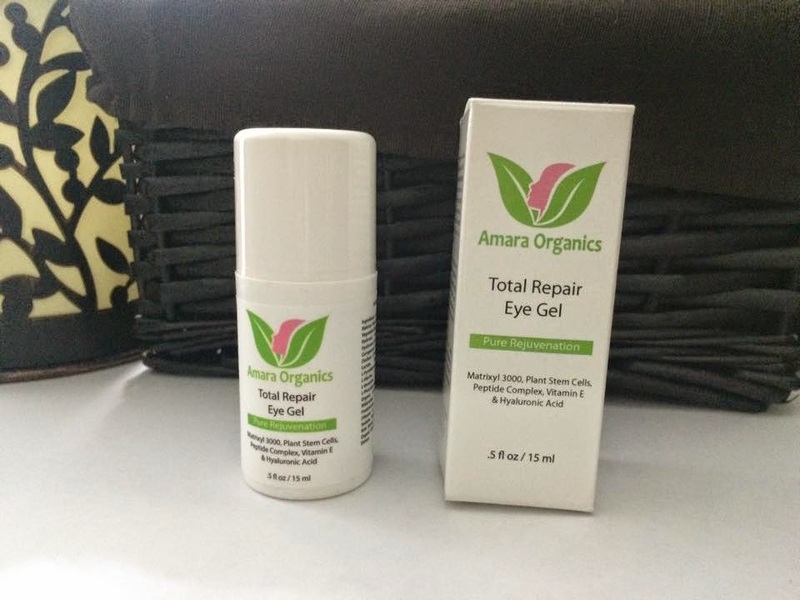 As I approach the age of 50 years, I am trying more and more anti aging products and I was excited to try Amara Organics Total Repair Eye Gel for the first time. I started one morning after washing and drying my face, I applied the gel all around my eye area. I like the smell it is refreshing and not overpowering. The immediate effect around my eyes was a feeling of soothing coolness. Feels like a fresh cucumber treatment I have had in spas. I like how it diminishes those puffy morning eyes and hydrates as well. 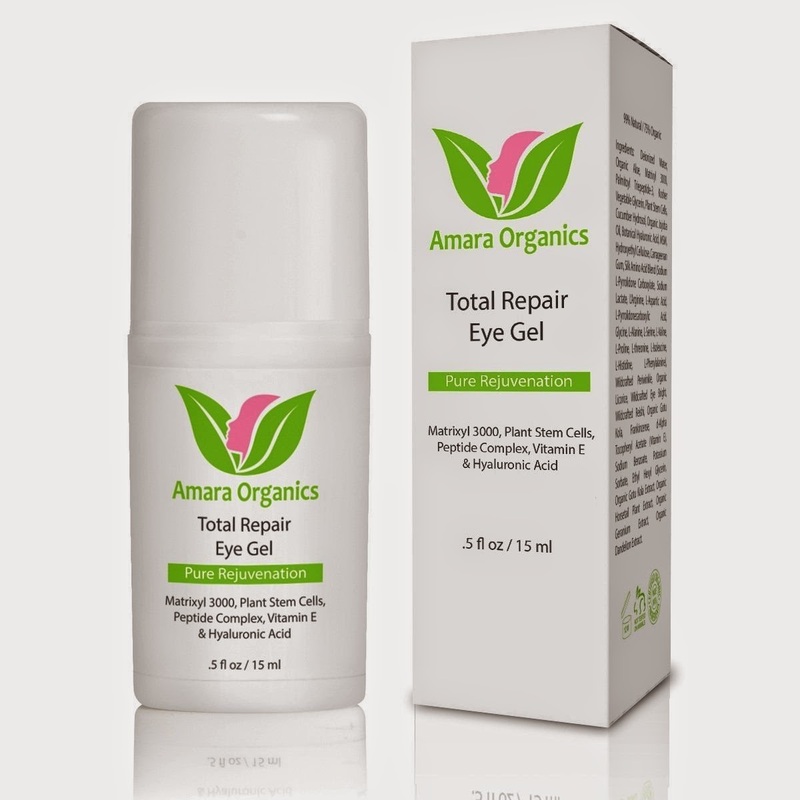 I really like this eye repair gel. It is light and refreshing!